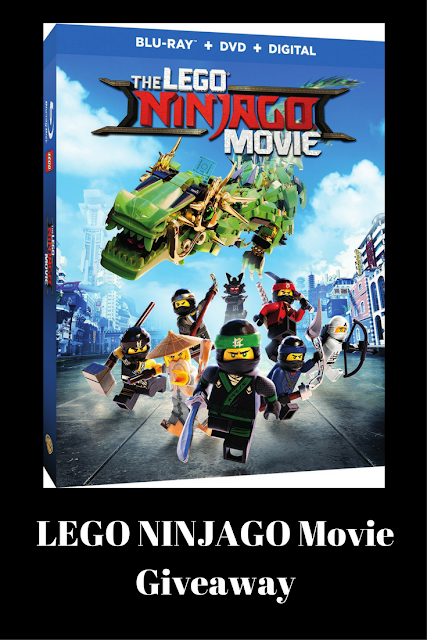 I initially saw the LEGO NINJAGO movie when it came out at the theatre, but I couldn't wait to watch it again for family movie night. It's been cold here in Michigan, so we ordered McDonald's McDelivery, grabbed some blankets and settled in for an evening of giggles. Have you seen LEGO NINJAGO? If not you're missing out! Lloyd (Dave Franco) is a high school student by day and secretly the Green Ninja by night. He suffers lots of humiliation at school because he's the son of the evil warlord Gamadon. Garmadon is always trying to destroy NINJAGO City. Garmadon is not aware that the Green Ninja is his son! Will Lloyd defeat his evil father? You will have to watch it find out. We enjoyed this movie for the second time. It's cute, and I love the humor in it. I especially like that Jackie Chan plays Master Wu and does a fantastic job in the role I might add! 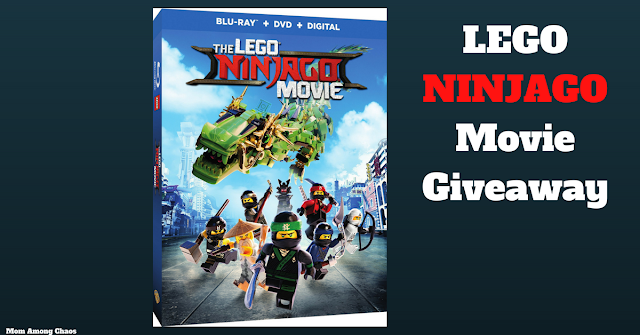 Enter to win a LEGO NINJAGO prize pack that includes the Blue Ray DVD Combo pack, coloring sheets, and a figurine!